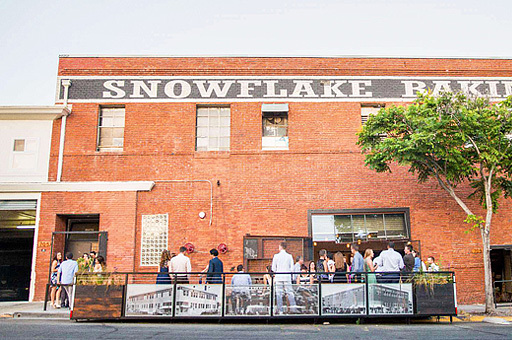 Moniker Warehouse serves as a rustic-modern event venue for weddings, concerts, fundraisers, art shows, and anything else you can throw their way. The flexible urban setting is a blank slate and ready to be transformed by your imagination. They provide renters with the option of sound equipment, tables & chairs, and free off-street parking for 30+ vehicles, as well as abundant street parking in the surrounding area.